Be a fan. Stop beating yourself up over it. No more dissing fangirls and fanboys. 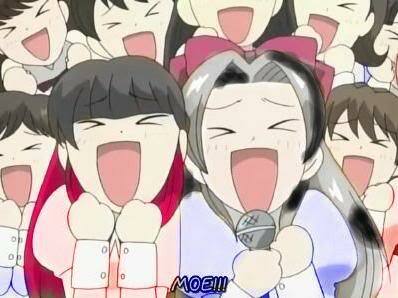 I've been ruminating on this topic since I went to Chicago TARDIS and one of the topics was called "Moffat Fangirls". There's still a real stigma against showing enthusiasm for anything unless it fits with social norms. For guys, that's sports and for ladies, that's cooking and fashion. "Nothing great was ever achieved without enthusiam"
Do you want to know who was the first fanboy? Hello, Pope Sixtus! (Thanks Titian for the great portrait, courtesy of Wikipedia). In 1471, Pope Sixtus donated some sculptures to the Musei Capitolini in Rome with the intention of showing off their awesomeness (Okay, awesomeness might not have been a word then, but the concept is the same). So when did we go from the Pope to this? Clearly meant as satirical, and yet, that's the vision people have of the fan. Crazed, screaming, nuts, and other such nonsense. Clue yourself in: fans of anything are great! It doesn't matter if your thing is a geek thing, a Japanese thing, a zombie thing, a music thing, or a movie thing. It just matters that you feel and interact with other people that feel the same way. As long as you don't retreat into that world as a substitute for your own world (which can be unhealthy), being a fan of something is fun, easy, can be as low or as high of a cost as you want, and can bring a little sunshine to your life. I recently watched the video of the inimitable Tavi Gevinson, and what she says makes a lot of sense. Be a fan. Enjoy it. Figure out why it means so much to you. And have fun. 1. The Almedia Clark died in 1873 is my 3rd great grandmother. 2. The other majority (including myself) is right and there's an Almedia Storring out there to find. 3. There's a huge combination of errors here leading me to completely erroneous conclusions. 4. There's such a huge lack of missing information that's what's causing the problem. What would you suggest to do next? I'll give you the background, and see what you think. Now here's where the research I have lead differs from some of the other researchers. 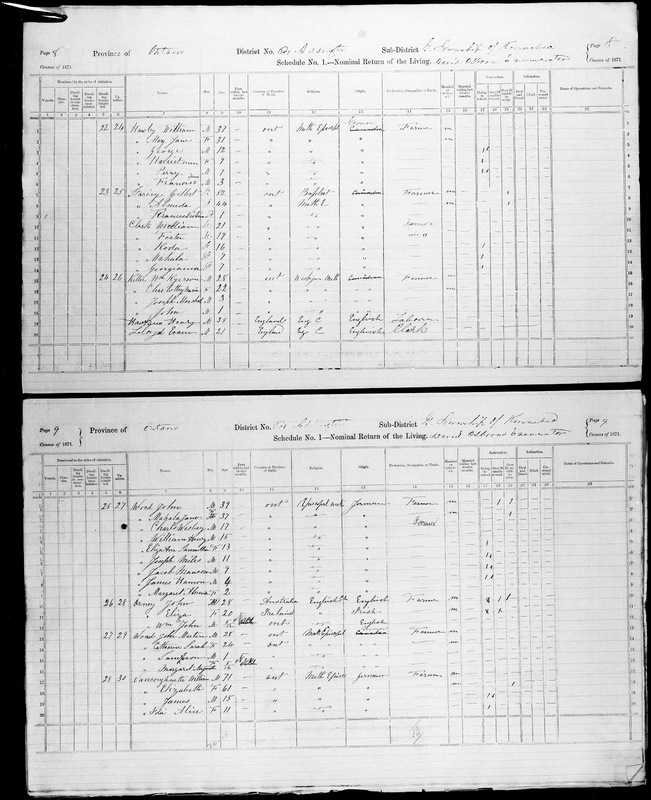 There's an Almedia Van Koughnet recorded as having a child with Gilbert O. Storing in 1869, and they are in the 1871 census as having the Clark children and Frances Victoria Storing in Kennebec. "1952-69 (Frontenac Co) STORING, Frances Victoria, f, b. 20 Dec. 1869, father - Gilbert O. STORING, sawyer, mother - Almeda VANCOUGHNETTE (s/b Vankoughnet), infm - father, Kennebec"
So that would lead me to conclude that Nathaniel probably died in between 1861 and 1871. Thing is, I can't find a marriage for Almedia and Gilbert AND I can't seem to find a death for Nathaniel, either. It would be a little early for a death for Nathaniel (age 38-48), but not unheard of for the time period. 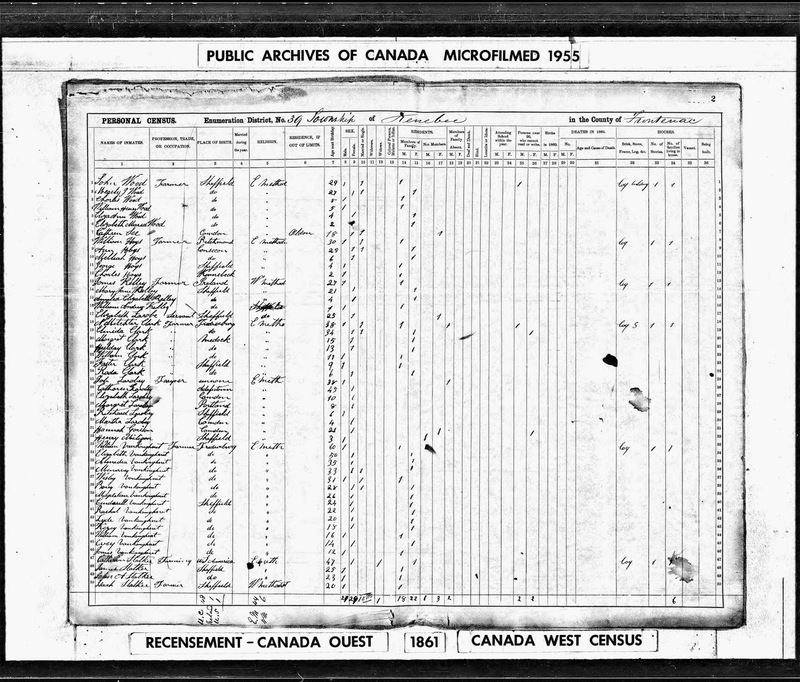 But then, there's a death record for an Almedia Clark, died 18 April 1873, age 42 in South Fredericksburg, Lennox & Addington, Ontario, and the witness was William M. Clark. But the age is off (not by a lot) and the change in the middle initial is making me suspicious that this is not correct. So now we are split. There's about half of us that believe that we should be looking for an Almeda Storring, and another half that believes the Almedia Clark who died in 1873 is our woman, and Nathaniel's death wasn't recorded (for whatever reason). And from there...excepting Foster, who ends up in the US, my 2nd great grandmother Mahala, and Georgiana, who has one appearance in the 1881 census, the entire family drops off the map. Just gone. As a side note, Gilbert survives them all, living until age 92 until he passes away as a destitute widower in Dover, Kent, Ontario on 5 June 1910. 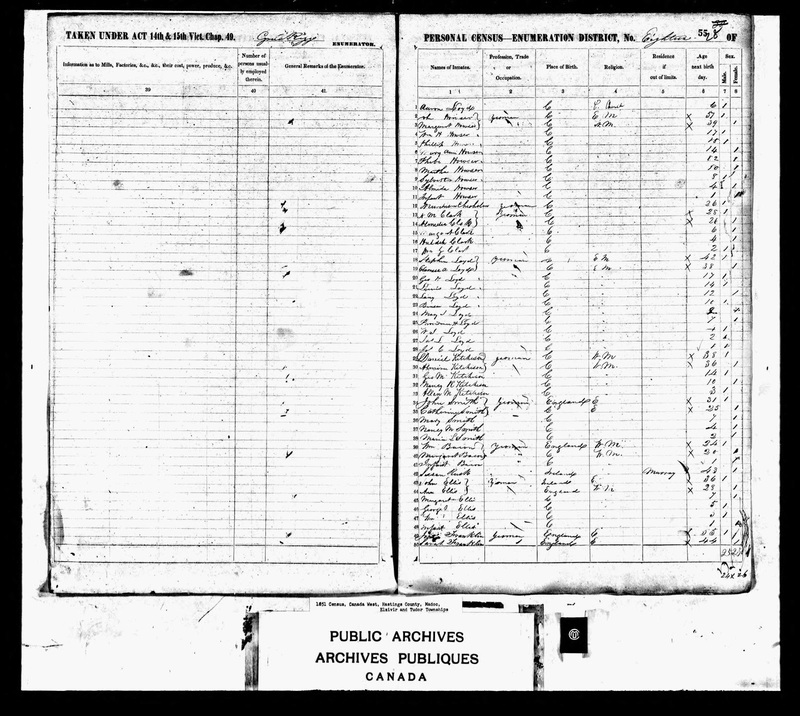 Ontario Death Record for Gilbert Storring, d. 5 June 1910.